Carol commented on the previous post that she liked both the black and white and the colored version of that featured goauche resist. I responded that I would be posting this one without the watercolor added. I like the resist, in and of itself, and can not convince myself to paint it. 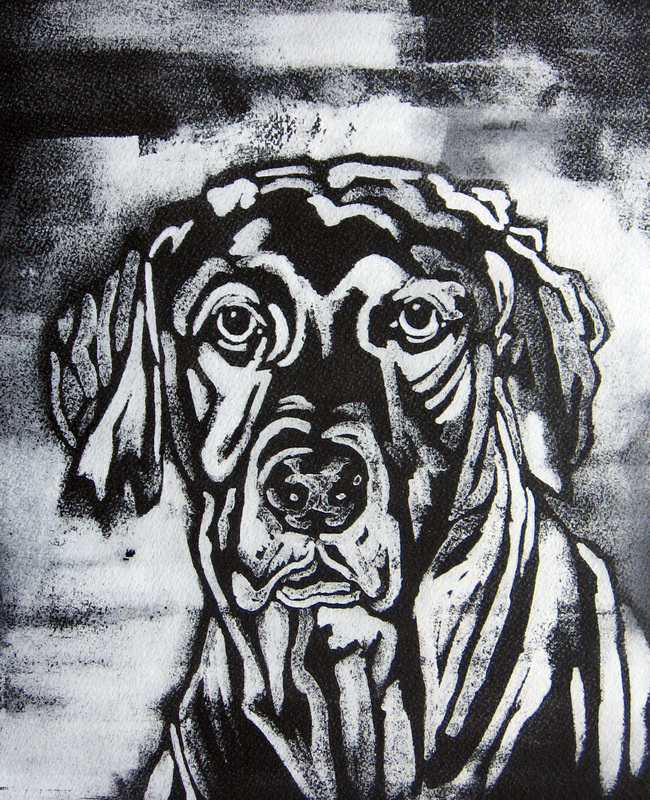 This is a a portrait of my daughter’s weimaraner. I have painted him previously here and here. His expression captivates me, so I just may paint him again sometime in the future. A tutorial on how to do a goauche resist can be found here. My watercolor plus class is working on a gouache resist for their next assignment. I was introduced to this form af art by another blogger I follow here. I posted a tutorial of this technique here. The first image is the resist once I wash off the ink. The second image is after I watercolor the resist. I like these even though they are time consuming to do. I never know what I am going to get. 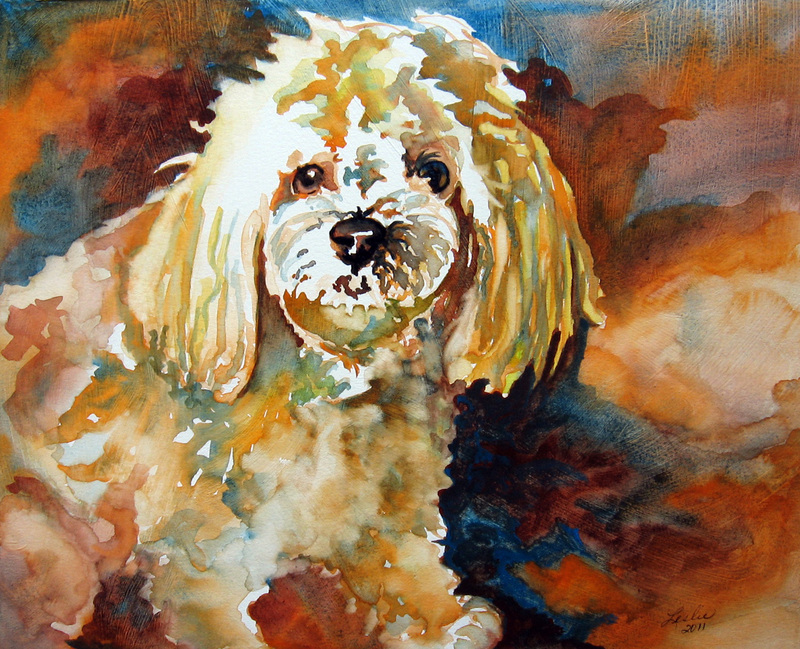 This week, in watercolor plus class we are going to watercolor on a gessoed surface. In order to do this, we have to prepare our support. I use a synthetic paper that I order called Aquarius II by Strathmore. This is only because it does not buckle like other papers when the gesso is applied to the surface. 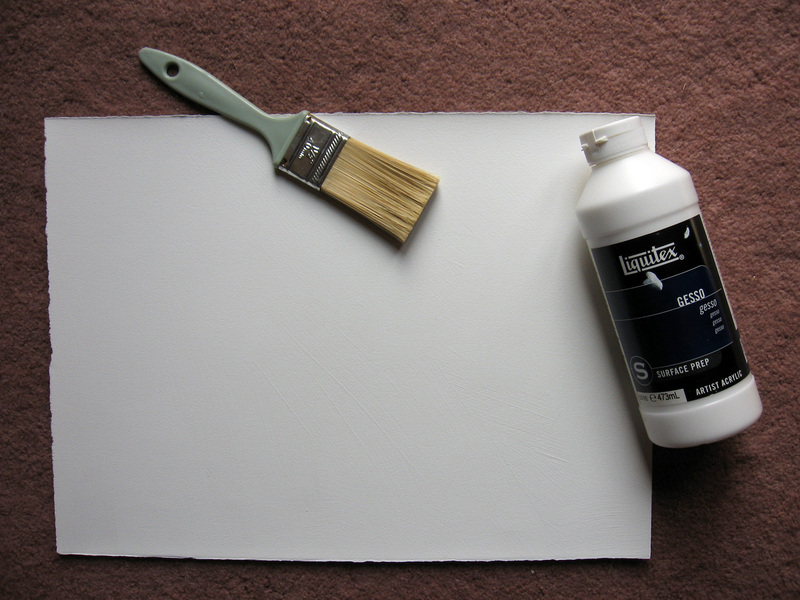 We also need a bottle of white gesso and a bristle brush to apply it with. I lay my Aquarius paper on newspaper, Squirt a dollop of gesso on the center of the paper and stroke outward with the bristle brush until the entire surface is covered. 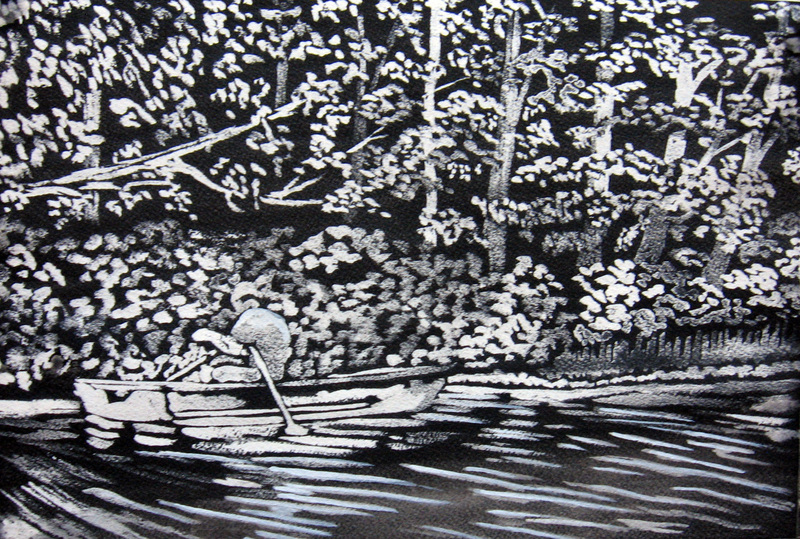 The bristle brush leaves behind grooves in the gesso that enhance the texture of the paper. Before the paper dries, I hold it up to the light to make sure that I have covered the surface. 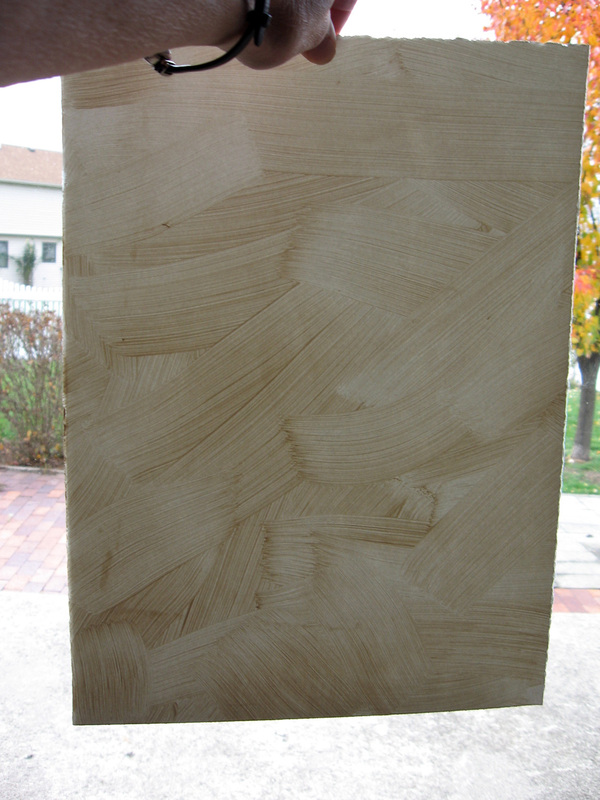 This will also reveal the texture of the surface you have created. I then allow the surface to dry. An hour usually does it unless you have applied it rather thick. Most of the time, I prepare several papers and allow them to dry overnight before painting on them. I, usually tape my paper to a board because I like a white border around my paintings, but this is not necessary as your surface will not buckle much if at all. Many artists clip their paper or just tape the corners to a board to work on this surface. 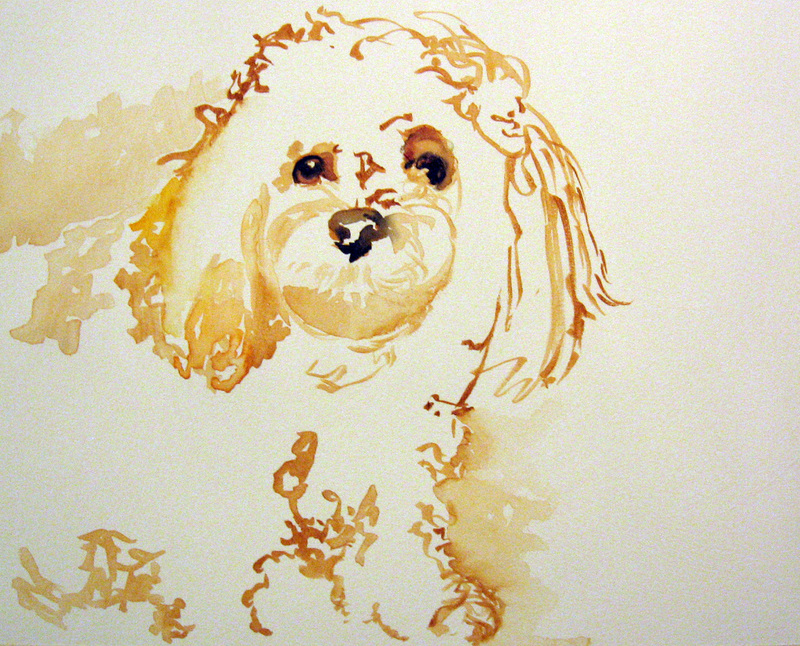 Graphite will show through the watercolor on this surface, so I always use watercolor and draw the image with a brush. Watercolor crayon can also be used. Once the drawing is done, I begin to lay in my color. The one thing to note about painting on this surface is that it requires very “little water”. I like to say I apply creamy pigment. This surface is easier to work on than Yupo, but it still is similar. I work the colors in next to each other. If it gets a little muddy, you can wet it with a damp cloth and wipe the pigment off the surface or lift small areas of pigment with a damp brush. You can create highlights by using a damp brush or whiten back to the surface using the edge of a Mr. Clean eraser. Thus, there are numerous ways you can correct mistakes. However, I have not found a way to layer. 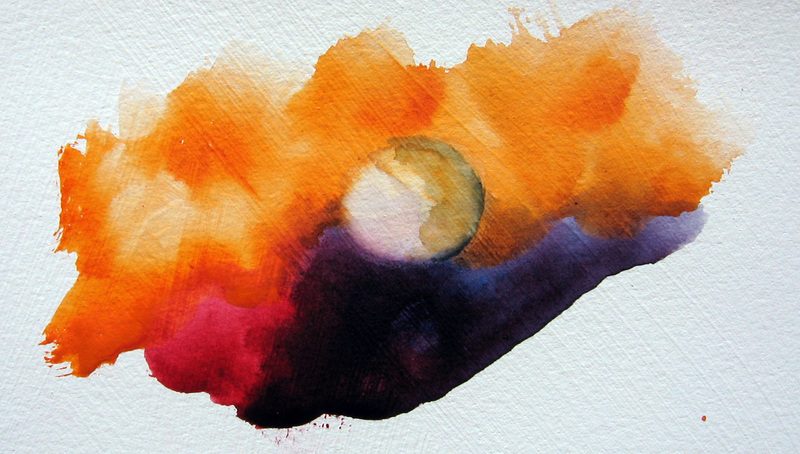 A new layer of pigment removes and mixes with the first layer. Sometimes this creates mud. 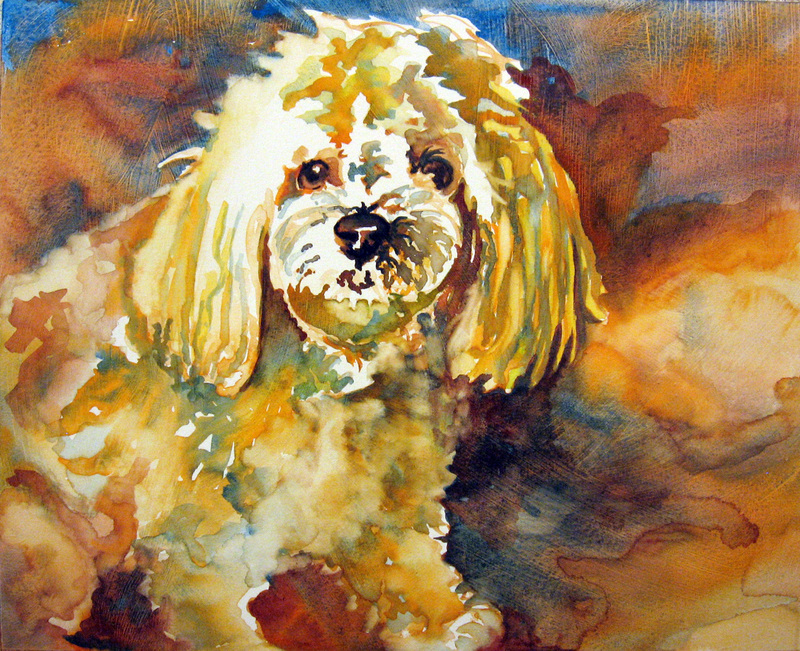 I like to scumble two or three colors together, much like you see with the shaded areas of the pup and the background. I keep adding color and scumbling until I get close to the image I wish to portray. In the final step, I punch the darks in where I think they are needed most. Once the painting is completely dry, I spray the surface with acrylic matte fixative. Otherwise, any water that may contact the surface of the painting will affect it. 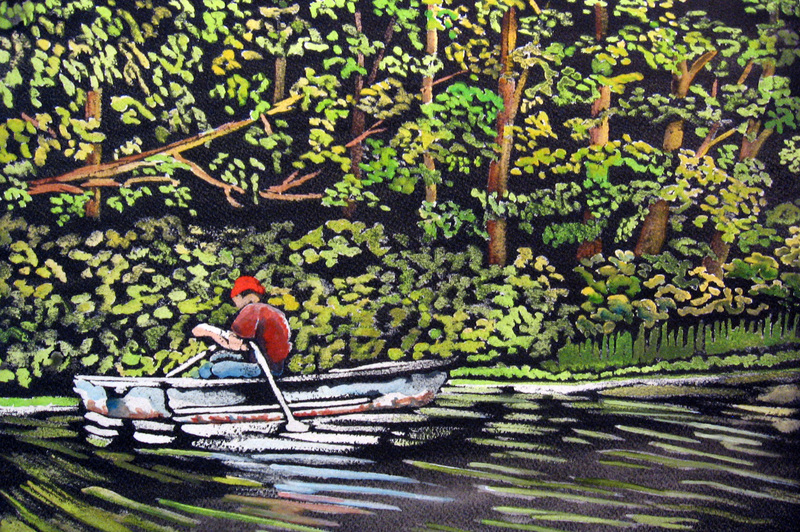 Other watercolor on gesso paintings that I have done can be found here, here, and here. 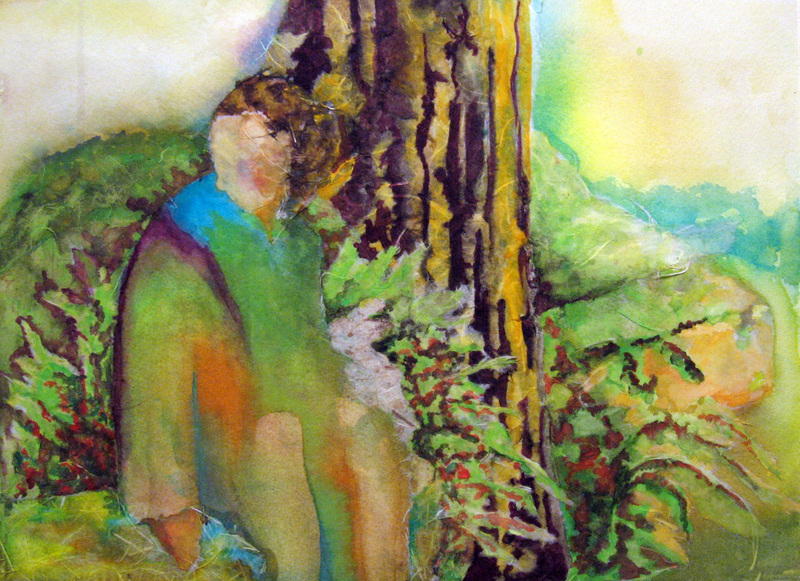 This week, for our Watercolor Plus class, we were supposed to create another painting using rice papers and watercolor. This time we were to search for more realism by using a photo reference or for allowing the pigment and the papers to lead us to a more realistic image. The above is what I came up with. The above shows the sequence of the painting as I created it with rice paper collage and watercolor pigment. All without photo reference! What fun!